December is nearly here and it is time for all things festive. The decorations will be going up over the next week or two, nativity costumes need to be ready and soon the Christmas cards will need to be posted. 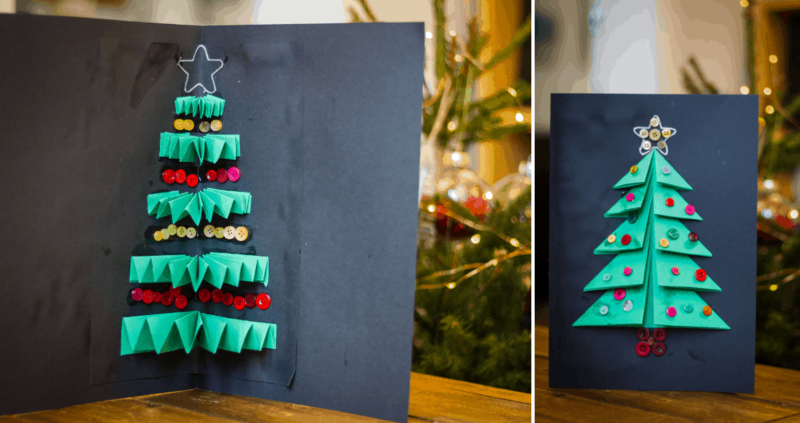 If you are looking for a simple but effective Christmas tree card craft to do with your little ones, look no further. This craft only really needs three items to work – coloured card, scissors and glue. You can add decorations with a few more items, such as metallic pens, buttons or pom poms, but it is so easy that anyone can join in. 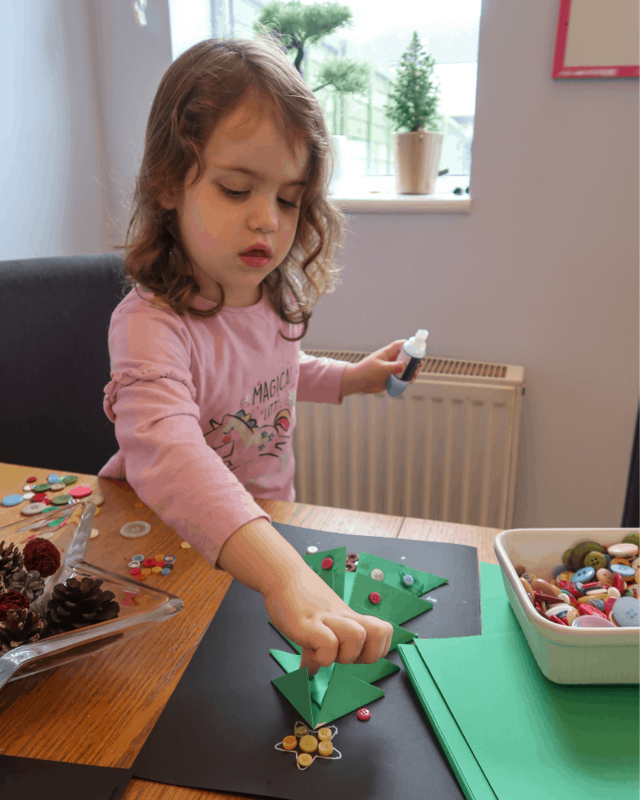 Find out how to make our Bostik Kids’ Christmas Craft below. Firstly fold a piece of A3 card into A4 to make your card shape. Next, cut out 5 squares of green card, each one 2cm smaller than the last. 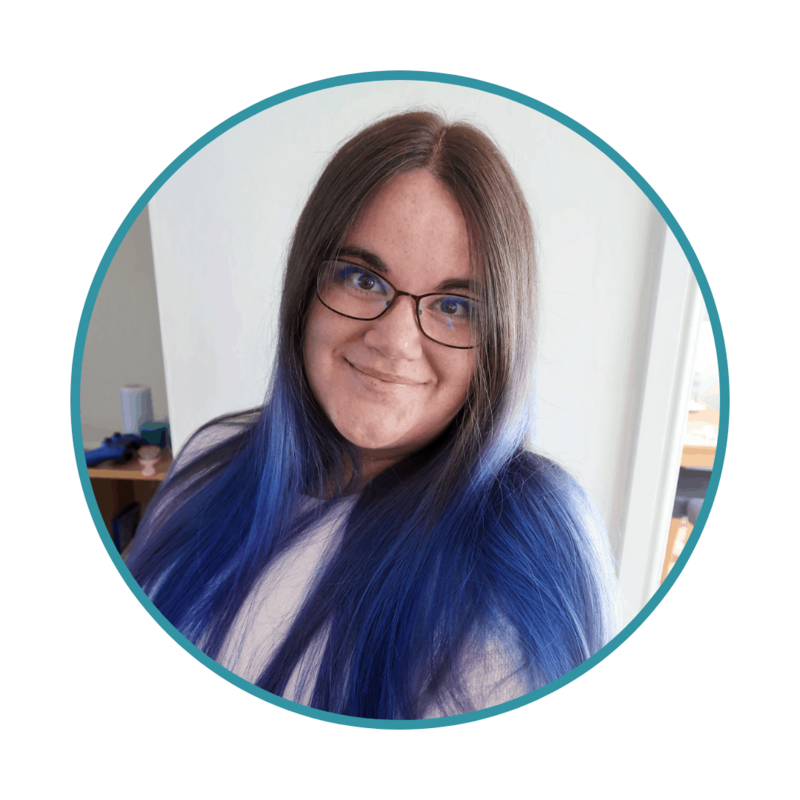 For our A3 card, we started with a large square that was 16cm squared, and we worked our way down to 8cm. Our final squares were: 16cm², 14cm², 12cm², 10cm² and 8cm². If you would like to make a smaller version of the card, simply make smaller squares. Once you have 5 squares, fold them in half. Then, fold in the corner on wither side to make an arrow shaped piece of card with two flaps. Each of these will make a segment of your Christmas tree for the outside of the card. Each arrow shape should fit inside one another, creating the Christmas tree shape, as above. Next, glue the shapes into place. The final touch for the front of the Christmas tree card craft is adding any decorations you would like. We included button baubles and a silver star drawn with a silver marker. Littlest had great fun choosing which colours to use and where to put them. 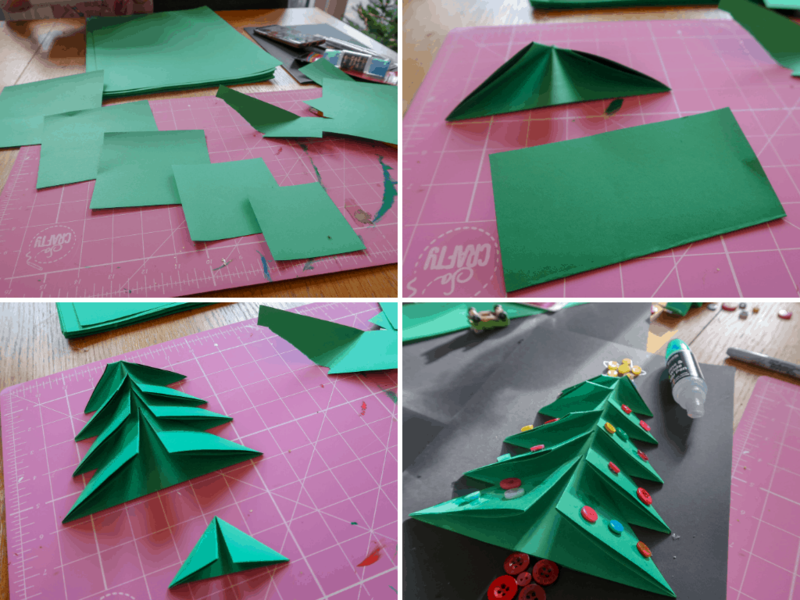 Once the tree for the front of the card is dry, it is time to make the pop-out tree for the centre of the card. You could do these two crafts as separate cards if you wished. Fold another piece of A3 card into A4. Cut out 5 strips of green card or paper. They should be A3 length. The width should be about 4cm for the first strip and each strip should get slightly smaller, until the smallest strip is around 1cm wide. Next, fold each strip into a concertina shape, as below. Arrange the concertinas to make 5 segments of tree, and glue down the flap at either end of each to secure it. Finally, we used buttons to decorate each section in between the concertinas, and we added a silver star to match the one on the other tree shape. To make this tree form the inside of one card, we trimmed the edges off and glued into the middle of the first card. Take care to make sure the centre folds line up perfectly for this. We then left both trees to dry and set completely. The finished card makes a great gift for kids to give to their teachers and helpers. Littlest plans to give the card we made to her key worker. This card is really simple and that means you can adapt it in all kinds of ways – different coloured papers, beads, ribbon – whatever you like. 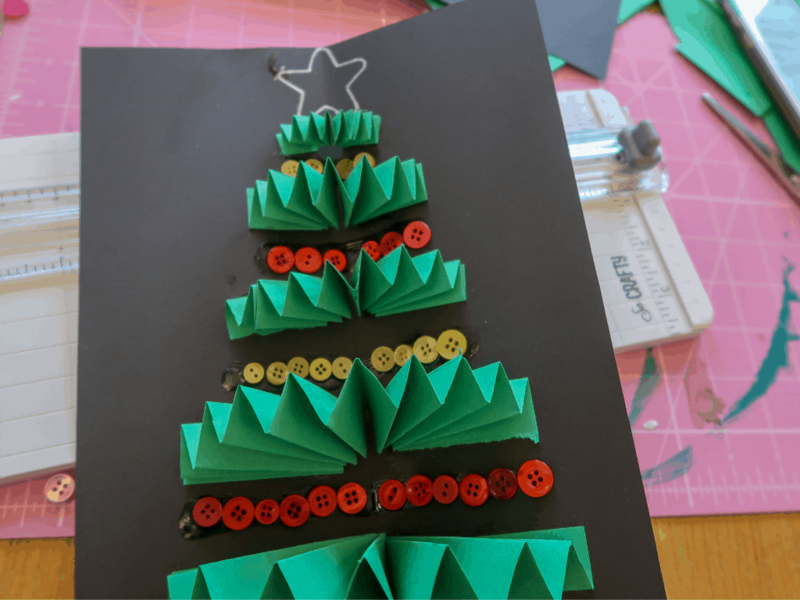 Also, children of all ages can also get involved as smaller ones can help with decorating and older kids could fold and glue the paper themselves. 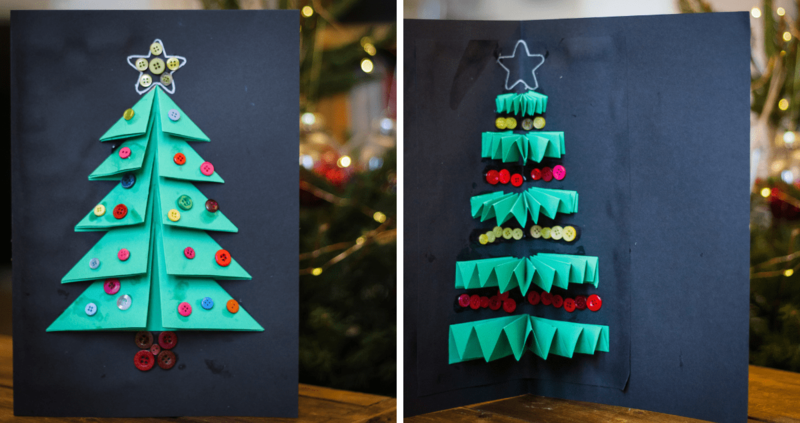 We hope you have fun making our Christmas Tree Card craft. Bostik send us craft materials every month in order to take part in the Bostik craft challenge. We are not compensated for the post in any other way and all words and opinions are my own. For more info please see our Disclosure Policy.